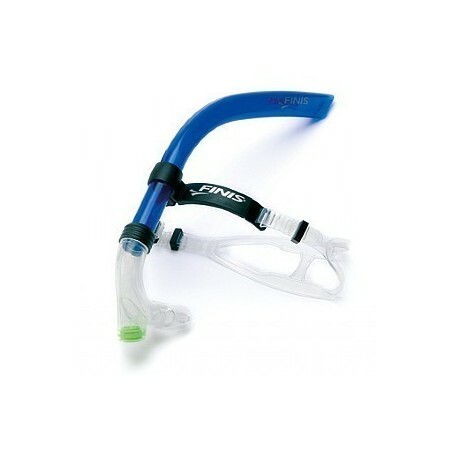 Swimmer's Snorkel allows beginners to learn stroke and kick techniques before introducing breathing cycle. Glide through the water with grace and ease without having to turn your head to breathe. Allows the swimmer to concentrate on stroke technique, head position, complete and symmetrical body rotation. 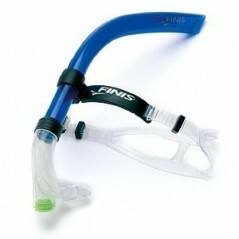 The Finis Swimmer's Snorkel allows beginners to learn stroke and kick techniques before introducing breathing cycle. Glide through the water with grace and ease without having to turn your head to breathe. Allows the swimmer to concentrate on stroke technique, head position, complete and symmetrical body rotation. It enables individuals with neck, back and spinal injuries to swim without tension on injured area.